A tough night at the Rebel Alliance Wanneroo Training Base saw Jedi Coach Marion and Jedi Coach Nicole putting young trainees through their paces. FC Jedi status was achieved with grit and determination by Harry, Charlee and Josh D. IMpossible Jedi rank was awarded to Liam, Charlee and Mitchell W. The 700 medals were hard fought. Well done Josh P, Abbey, Liam, Sienna, Charlee and Mitchell W. Sarah and Sola were knighted and Charlee became a Jedi Master. To finish the night a message from Yoda. "Rest you will, Refuel and Rehydrate you must." Wow!! What an awesome turnout to our bowling night! Thanks to Adina Rabbone who organized the AMF Bowling Night. Thanks to all the parents that chipped in and helped taking orders and delivering all the food orders. Next event is in the planning! Emily P and Mitchell T both represented the Club at the Championships. Mitchell recorded PBs in many events including a massive 19s PB in the 200IM, he also impressed with his 6th place in the 200 Free. Emily was also on fire with a massive PB in the 100 Breaststroke which took her to a well deserved 6th place. Indian Ocean All Stars Challenge. Josh D and Emily P took part in the Indian Ocean All Stars Challenge. Both swam extremely well, congratulation to you both! We are all very proud of you! Congratulations to all our swimmers who competed on the 8th of January at the 2016 SunSmart Rookie Meet and HBF Stadium. Our swimmers all achieved PBs in their selected events and we even brought home some medals! Stephen for his Gold in breaststroke. Jack gained a silver medal with his brother Finn bringing home a bronze. Well done to all our swimmers, Jordan, Elysia, Emily, Alex, Josh D., Josh P., Finn, Jack, Charlee and Stephen. It's Been A Busy Holidays! 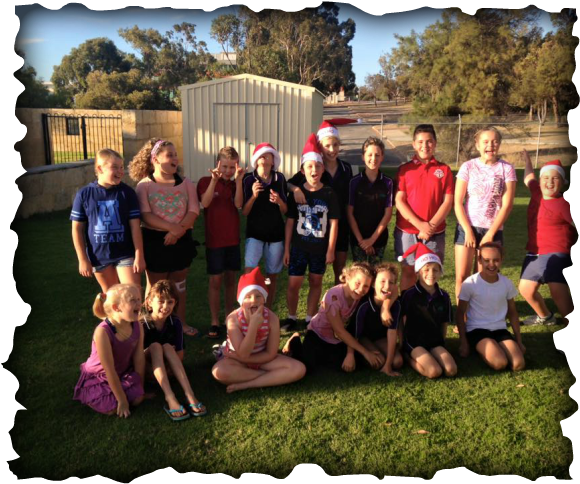 The swimmers have been training hard over the Christmas break, into the New Year and right through the school holidays. We've been putting in the hours to reach our PB's and make new goals! Over Christmas, Aqua Attack were at Master in Joondalup cooking up a storm for our final fundraiser of the year in a cool 37 degrees. While our committee planned for a jam packed year ahead! Welcome back everyone, let's get swimming! Congratulations to Jordan who was 2015 Swimmer of the Year! Jordans constant efforts at training, amazing attitude and huge Personal Bests are just a few of the reason he is this years deserving winner. Jordan has been a great role model for our younger swimmers and presents himself as a true leader. Jordans prize included a personal trophy and certificate, an engraving on the clubs perpetual plaque and a new swim bag with towel and goggles. Well done Jordan, you should be very proud! We ended our 2015 with a bang at Aqua Attack! Many thanks to all our family, friends, committee, parents, swimmers and coaches for a wonderful year! We enjoyed our Christmas celebrations with games, swims, inflatable obstacle course and more food than our bellies could handle! Our swimmers were all treated to Secret Santa from their fellow club members and we announced new club records and our Swimmer of the Year. It was a wonderful night of fun and smiles, and a great way to end the year! Thank you again for all your support, and we look forward to seeing everyone again next year! Many thanks to our club committee member and Physical Education Teacher David, who came down to the pools on a Monday and ran our swimmers through their paces in a land based PT session. Our swimmers got a HUGE work out, strengthened their cores, pushed their arms and legs to the max and also learned a think or two about their bodies, correct warm ups and techniques for strengthening their bodies. Congrats to our Wanner Swimmers who competed on Sunday 15th November in the Pentatholong Long Course Meet. Emily, Jordan, Mitchell T. and Zoe all competed and all return with new PBs in each event. Jordan, who returned with PBs in his 50 Fly, 50 Back, 50 Brst and 50 Free. Many thanks to our familys and coaches who attended the weekends events! Well done to our swimmers Mitchell T. (Wanneroo) and Winifred and Owen (HBF), who all competed at Challenge Stadium on October 24th and 25th. Each represented our club proudly, and swam their best. ​Congrats to each of you! 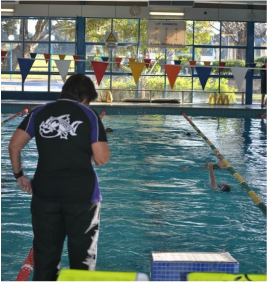 ​Congratulations to all our swimmers for their efforts on the night. Congrats to a Club Record holders, and all medal, and age champ winners. Our club championships went off without a hitch, and brought in all of our swimmers and their families for en evening of grit, speed and excitement! Congratulations to all our swimmers who worked their hardest at every training session to prove they can do it. A massive thank you goes out to our Committee and parents who helped make this night happen, without their constant support of the club would not run! ​Saturday 26th and Sunday 27th at HBF Stadium saw three of our swimmers complete against the states best. Emily, Zoe and Mithcell T., all competed over the weekend to come home with all new PBs in their events. Mitchell T., What a great race in the 200fc. Mitchell demonstrated good pacing throughout the race storming through on the last length to win his heat with a 6s PB. He also received another PB; 7s in the 100IM and his 200bk saw him take another 7s off his original PB. Great efforts from Mitch! Emily swam a sstrong 100brst, she too took a massive 6 seconds off her PB and placed 2nd in her heat. Massive technique improvements from Emily! Finally Zoe, at the very end of the day pushed hard to wipe off 1second from her PB in the 50brst! Aqua attack swimmers and club members enjoyed an exciting Social Night at Joondalup Darklight Laser Tag! Our swimmers had an amazing night playing games, munching down on some well earned dinner before taking their tokens to the arcade to win some prizes. Thank you again and as always to our parents who join us on Social Night! Tafara took the water on a beautiful spring day with grit and determination to make PB times in both the 25 and 50m freestyle events. He also was placed in every heat. Fantastic swimming. 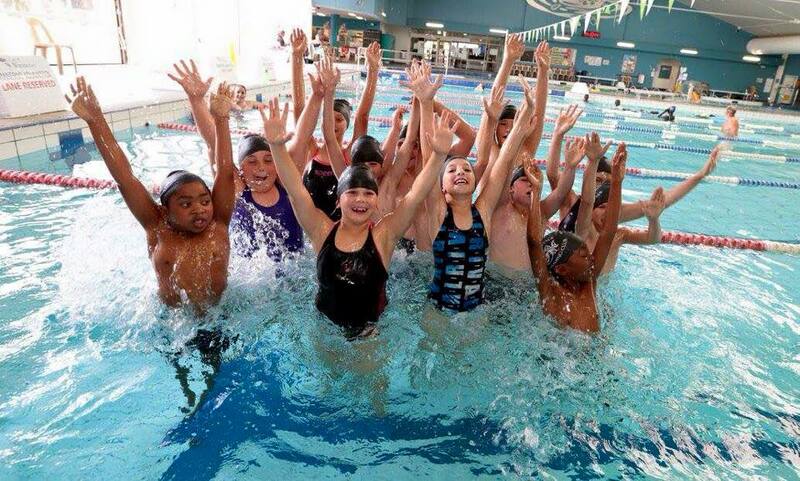 This event was part of Swimming WA's Junior Dolphin Program that is aimed at swimmers at 5- 7years as a fun introduction to the competitive side of swimming. Congratulations to our swimmers who competed at the Rookie Meet August 16th! Well done to Zoe, Mitch and Emily who all earned new State Times!